A custom 2013 Ford Mustang GT that starred in the blockbuster movie “Need for Speed” was sold by Ford Motor Company for $300,000 on Saturday at Barrett-Jackson Auction Company’s West Palm Beach event. John Felice, vice president of U.S. marketing, sales and service, drove the spectacular Mustang onto the big stage. After spirited bidding that electrified the block, Dave Flynn of Columbiana, Ohio, won the factory-special Mustang. Auctioned at no reserve, proceeds will benefit Henry Ford Health System, the nonprofit founded by Henry Ford to support the Edith and Benson Ford Heart and Vascular Institute. Founded in 1915, Henry Ford Health System is one of the nation’s leading comprehensive, integrated health systems. It provides health insurance and healthcare delivery, including acute, specialty, primary and preventive-care services, backed by excellence in research and education. Additional information is available at http://www.henryford.com. The “Need for Speed” Mustang was used in filming and was displayed at all promotional stops for the movie. It boasts a custom-designed, wide body rolling on unique, Forgiato 22-inch alloy wheels. Other design elements include an enlarged lower grille with new air intakes, extended rocker panels, a twin-snorkel hood and low-profile mirrors. With a powerful V8 engine, the Mustang is finished in silver paint with Kona Blue racing stripes. 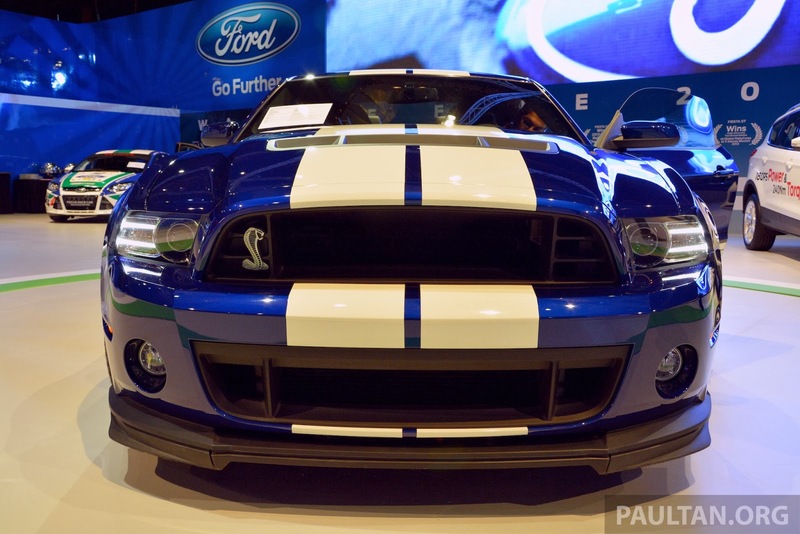 This entry was written by by Drew Phillips (Mustangs Daily) and posted here on Thursday, April 24th, 2014 at 1:14 pm and is filed under auctions, barrrett-jackson, need for speed, need for speed ford mustang, News, Videos. This article was not written by us, rather gathered using RSS feeds listed here. We take no credit for this article. You can leave a response, or trackback from your own site.